Egypt will be adopting a declaration to “preserve life and combat terrorism” as a fundamental right, President Abdel Fattah al-Sisi said on Tuesday at the closing ceremony of the World Youth Forum (WYF) in South Sinai’s Sharm El-Sheikh. 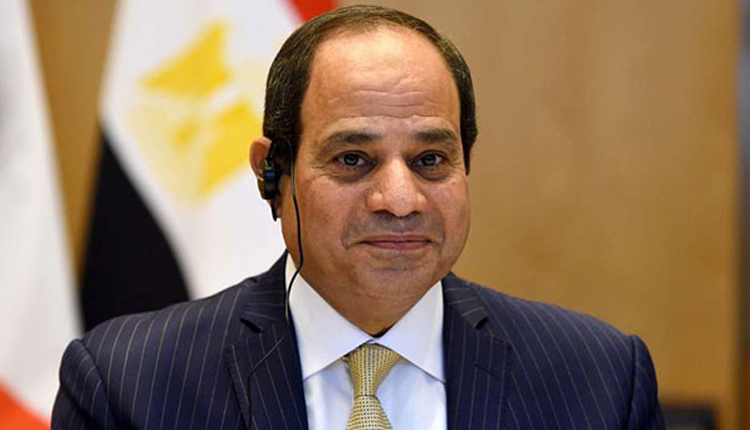 The Egyptian president announced a number of resolutions during event, including adopting the ‘Sharm El-Sheikh Declaration’ set during the Model Arab African Summit on Monday, and announcing Aswan the Capital for African Youths in 2019. Sisi also said he will mandate the National Training Academy with training 10,000 African and Egyptian youths in fields of economy, society, and politics. The state will also establish a regional centre for entrepreneurship to support startups in Egypt and the region. The president also announced that he will turn the ‘Reviving Humanity Memorial,’ which was unveiled during the WYF, into an international foundation to support the victims of violence. A National Research Committee to discuss the impact of social media platforms and expanding the benefit from these platforms will also be formed. Sisi said that the state will prepare a major advertising campaign to raise awareness among young people about water scarcity. The president will also establish a committee to hold a social dialogue on amending a controversial law on non-governmental organisations (NGOs), before submitting a bill to parliament. Egypt’s parliament issued the 89-article NGO law in November 2016 and it was ratified by Sisi in May 2017. The law has garnered criticism from civil society in Egypt because some of its provisions limit the activities of NGOs. Sisi’s comments about the NGO law come a few days after he first made the announcement when the issue was raised for discussion by a participant in the WYF, who suggested that the law be amended. He said that the forum was proof that dialogue is the way to overcome conflicts. “We rely on the enthusiasm of our youth and their belief and love amid conflicts and separation,” El-Sisi said, adding that this year’s forum was a chance to create dialogue between youths worldwide. He described Egypt as a “meeting point” to achieve stability, and thanked everyone who participated in the forum, as well as the organisers and the people of Sharm El-Sheikh for their hospitality. “This is proof that dialogue can turn recommendations into tangible reality,” he said. This year, the forum’s events revolved around a vision inspired by ‘The Seven Pillars of the Egyptian Identity,’ a book by Egyptian author Milad Hanna written to emphasise the unity and harmony of Egyptian society despite divergences and differences, according to the official website of the forum.